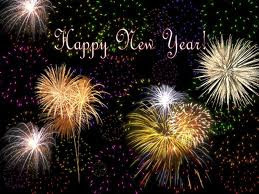 I hope 2012 is a great year for us all. Council is pretty quiet at this time of the year and yet I have had lots of emails with questions that I have been able to provide the answers to. I have, however, saved up a few items for the January Update that I will upload soon. 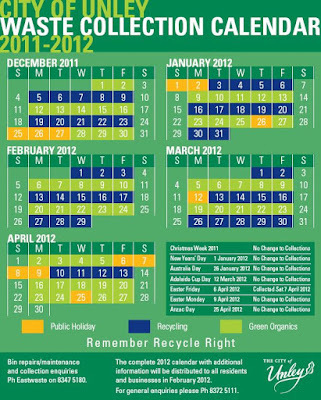 Here is the calendar for 2012. The day that the waste is collected will not be changed. 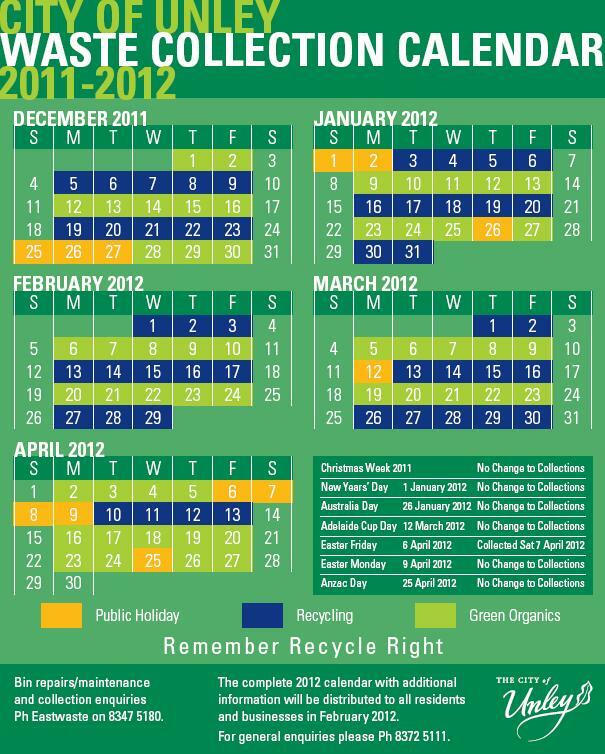 If you have other junk you can book a Hard Waste collection once each year. To do this you need to make a call to Council (83725111) and make a booking. There is a short delay between booking and collection, however, you will be given the day of collection when you book. The rubbish should be neatly stacked on the footpath the evening before. If you see illegally dumped rubbish you can let me know and I will ensure it is removed promptly for you. Booked collections will have a green sticker that is supplied by Council. The agreed works will start on Leah St on Jan 9th 2012. After consultation the footpaths will be paved, the road resurfaced and speed humps installed. This will cause some disruption to local traffic during construction and may result in some traffic diversion into Goodwood South especially via Victoria St and Mills St. However, it should also encourage those inclined to take a short cut through East Ave to choose an alternate route for their journey and stay on Goodwood Rd or South Rd. Clearly the latter is the preferred option. The residents on Leah St have been requesting this solution for a long time. 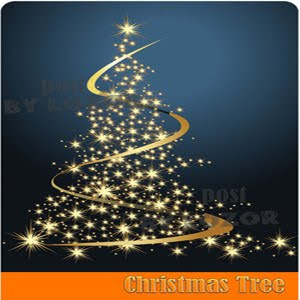 Merry Christmas to everyone for 2011. This has been a challenging and fruitful year. I'm impressed with the number of people that read this blog and hope that you will continue to contribute your observations and ideas in the future. Every time I get an email or comment from a constituent I am better informed about what concerns you and how and why you think the way that you do on each issue that arises. 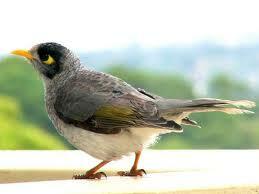 Noisy Minor Birds; Are they an issue? I remember during the election campaign now over a year ago a concern from a resident about the effects that these birds were having on the diversity of bird species in the Goodwood Oval area. At the time I was told by staff that there was little that could be done about this issue. It's interesting to note that this issue is now in a more public arena. A recent article in The Advertiser debates the issue and suggests that one of the ways to encourage preferred species is to plant thick, spiky shrubs that the little birds can hide in and that the noisy minor don't particularly like. City of Unley Aging Strategy Public Consultation; The strategy is available at http://www.unley.sa.gov.au/webdata/resources/files/Att%201%20Item%20316%20FCM%20December%202011.pdf. After consultation Council will fine tune the document and implementation of the most pressing concerns can begin. 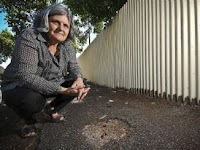 One that most of you would be concerned about is improved maintenance standards for streets and footpaths. The document is well worth reading. Temporary Extension of Clearways;This concerns Glen Osmond Road during the Clipsal event. DPA 2 is now on the Minister's desk. Planning is underway for consultation as soon as it has been signed off. This is the Amendment that will have the greatest impact in Goodwood South. DPA3 is also now on the Minister's desk and ready to go to consultation as soon as it is signed. This effects Greenhill and Unley Rds. The heritage DPA is waiting for the outcome regarding the heritage listing of the stone lining in Brownhill Creek. Council would like to see them listed as Local Heritage rather than State Heritage. The Inner Metro Rim Structure Plan, this plan is being held up by Cabinet. Public consultation will follow their approval. Unley Central Urban Design Precinct; A Community and Stakeholder engagement plan is being developed. This includes ensuring linkages to King William Rd and not toward Duthy St. Council have recently finalised the purchase of the Old Post Office building on Unley Rd ( Bazaar) to help facilitate the development in this area. Tasmanian Local Government Election Results; During my recent trip to Tasmania the Local Government election results were in the newspaper; would you believe the front page and for a few days? The most interesting point was that they were disappointed with a 50% turn out by voters. In South Australia we have about 30% and are complacent about this. Cr Hudson has put a motion on notice to request the LGA to investigate how we might achieve the same. Considering Goodwood South has about 5,000 electors and I was elected with 600 votes that really says it all. 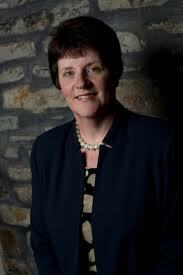 This was the second best of any Councillor. One person was elected with just over 200 votes! Nominations for the Australia Day awards; There were many nominations for these awards. Reading about the contribution that some people make to the Community is very moving. However, there can only be one winner in each category and they will be announced at the presentation ceremony on Australia Day. All nominees will be invited to the ceremony. Yesterday's meeting was not well attended by residents but many of the issues that Don and I had already identified were raised. These include removing the dead trees, putting a hand rail on the boardwalk, identifying ways in which the eastern section of the street (before you get the boardwalk) can be treated to allow for safe pedestrian access and marking a pedestrian crossing near the existing gate. Other conversation related to Byron Rd. As this wasn't a meeting about Byron Rd the matters raised will lead to further debate and a meeting for Byron Rd on it's own. The discussion revolved around safety, speeding and the traffic calming devices that are currently in place. The Eastern Courier published this article this week. This is one item that this time I decided not to enter the debate as my views were already well know to everyone. Somehow I still get a mention in the article. with documents and improper use of another identity, arising from last year's Local Government election campaign. Mr Clyne appeared relaxed before the hearing. He was not required to enter a plea and the case was adjourned after less than a minute. He will reappear in court on January 13. Police would not confirm whether initial charges of criminal defamation and publication of misleading information had been dropped. Meanwhile, a third push for the appointment of a deputy mayor again failed to win Unley councillors' support. A report to last week's council meeting suggested a deputy mayor be appointed for a six-month term on a rotational basis. But Cr Anthony Lapidge told the meeting electing a deputy for six months was "impractical" and frequent change would create public confusion about who was deputy at any given time. The motion was abandoned after it failed to garner support from a single councillor. It comes after a failed push by Cr Jennie Boisvert in August to have a deputy appointed. Cr Boisvert also lodged a complaint of bullying against Mr Clyne after an email he sent to members in November 2011 encouraged them not to support her bid to be appointed deputy mayor. 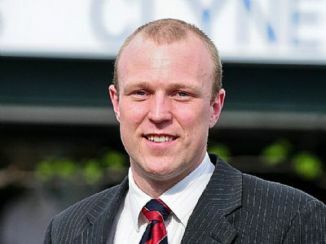 Mr Clyne was made to publicly apologise for the email in March. Water should soon flow through the new network of purple pipes. The water will be used to water Goodwood Oval, Forestville Reserve, Orphanage Park and Unley Oval at this time. It is hoped that the first water will be available before Xmas. Council is able to use the water and pay a much lower rate for the water than it would have to pay for mains water. As well Council is not restricted to the amount of water that it can use. The water is coming through the Glenelg Adelaide Pipeline. The water originates as sewage and is treated and purified at Glenelg. While it is suitable for use on parks the water is not potable. This website has a little more detail, but does not include the Unley network. This network links in near Goodwood Rd and George St.
2014/15 Birkdale Avenue, Hacket Avenue, Hammond Street, Lloyd Avenue and Lynton Avenue. It is evident from the formula that Council uses that they believe some streets are less trafficked than others. As you are aware Meredyth Ave had been scheduled for 2012/13 and I believe in an accelerated programme that it is unacceptable for this street to have the date for replacement moved back to 2015/16. I am working with staff on this one to ensure it is still completed as promised. The other streets in contention are Hammond St and William St. Hammond is now scheduled well ahead of the 10 year wait that would have occurred. However William is still not listed in the near future and is in an appalling state. I will continue to endeavor to have this one included in 2013/14 as I feel that the 2 streets listed are not a realistic share for Goodwood South. During the election campaign I made a promise that if Les Birch and I were elected these streets would be a top priority. I have almost succeeded in getting the acceleration from 2042 to 2019 for full completion of the paving. However, as you are aware Les was not elected as Mayor and working with the elected Mayor got off to a pretty rocky start due to his behaviour. I'm doing the best I can in the circumstances. I have Don's full support in this and we will continue to work together to get as many footpaths as we can in Goodwood South completed. I have had some interesting discussions on this topic this week following an enquiry from a resident. 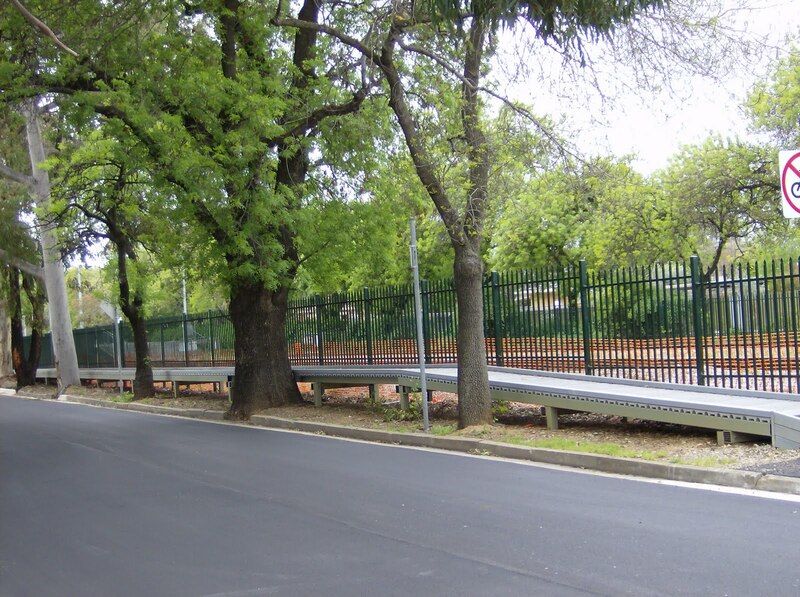 The infrastructure that supports the street lighting is owned and managed by ETSA. However, the cost of the lighting is met by Council. The concern was about the timing of the lights coming on and off. Each area is fitted with a device that measures the lux level of light and decides at a particular point in time that the lights should be turned on or off. However, it seems that some streets may have a dodgy device and the lights are on longer than necessary and as such costing Council (the rate payer) more than it should. I would like some comment to identify where, if any, this seems to be the case and Council will ask ETSA to investigate the device and if it is found to be faulty will repair or replace it. Kelvin Ave ;The consultation for this has now closed. It is important to now let the staff analyse the letters sent to Council by both those who support the concept and those that do not. There has been a large number of submissions. The final report will now come to Council in January and not December as planned. CEO change over; Peter Tsokas has started his new job as CEO of Unley. Deb Richardson is Acting General Manager in his now vacant position and Victoria Minenko is Acting General Manager of Governance. These positions have been filled internally until April. It is hoped by then that the vacant positions will have been advertised and new appointments made. If restructuring is to occur they may be some change in focus and areas of responsibility. Clarence Park Community Centre; After many years as Childcare Manager Ruth Zilm has retired. She has worked tirelessly to provide a service much valued by our community. Childcare is one of the many services operated by Clarence Park C C.
Graham Ave and Fairfax Ave ;The list of items that were raised at the street meeting has now been distributed to all residents. Don and I will get staff to work through this list as quickly as possible. I noted that both Fairfax (2012/13)and Hackett Ave (2014/15) are now in the future budget for paving. KEEP CLEAR; This sign has now been painted on East Ave near the corner of George St.
Spiers St; This landscaping and footpath replacement are nearly complete. Page Park toilet; The shell of the toilet has now been installed as well as some new paving. The toilet should be usable before Xmas. Cross hatching of railway crossing ; The line repairs were carried out recently ( although I reckon at least on section is still loose). The yellow cross hatching will be painted in the near future. Rubbish bin audit ; Every 3 months Council randomly selects rubbish bins to see what has been put into them. You will know if yours has been checked if there is a small bit of fluorescent tape attached. The purpose of this exercise is to ascertain what proportion of recyclable waste is being put in all bins. Council pays premium rates to dump rubbish, so the less that goes (or needs to go) into the bins the cheaper the cost is. This information can then direct where Council should be spending money on educating people better. This is the latest report that analysed the results. Canterbury Tce; Following recent discussions about the safety of the Boardwalk residents and commuters have been notified of a public meeting on Dec 6th at 6pm in that location. I hope as many people as possible that feel they have a view or an idea to attend and let us know what you think of Council ideas and the ideas of each other. Conservation Grants; Each year Council allocates $50,000 to help people with heritage houses repair or preserve their homes. Recent changes to Council planning policy means that there are now1801 heritage homes in Unley rather than 356. This means that there has been an increasing demand for funds without an increasing budget allocation. 27 of the 29 applications received will each get 35% of the costs of their project up to $5,000 for houses and $1,000 for trees. This leaves no funds for the second round of applications. I asked for increased funding to be considered in the next budget variation process. Only 4 applications were received from Goodwood South residents even though all of Millswood (west of Goodwood Rd) is now a heritage area. My motion was defeated to both increase the allowance for this year to allow for a second round of applications and to include more money in the budget for 2012/13. It seems that we as Council spend a lot of time saying how much we value heritage and yet when it comes to helping people with their restoration (eg underpinning, stonework ,verandas) we are not prepared to help more than a few in this way. The policy does need to be updated and this will occur in the new year. Temporary Road Closures for the Tour Down Under Gourmet Gala; These will be similar to last year. However, the committee has considered ways that underage people who arrive under the influence of alcohol can be better managed. Meeting times for 2012; There was considerable debate on this as the order of meetings scheduled was to change. I see many downsides to this and few advantages. The meeting was evenly divided on this relying on the mayor to give a casting vote, he then voted for change while saying that he would support the status quo (the amendment)! We now need to debate the timing of the 'reserving out' process (deciding if the matter will be debated again). If this is not changed then nothing has been achieved by the change and the process and deadlines have become more difficult to manage for staff with no gain for anyone. Development Act Delegations Review; This is a statutory requirement and changes reflect legislative changes. One change was made and that was to reflect that a significant tree, by definition, must now have a 3 m circumference. Appointment of a Deputy Mayor; Would you believe it this issue is back after being rejected just 3 months ago? The new suggestion was that Councillors take 6 month turns ward by ward. I'm not convinced that this is any more than tokenism. The described advantages are that it would give more Councillors an opportunity to share the responsibilities of the Mayor and would foster better communication between the selected individuals and the Mayor. Council rejected this motion and we still do not have the valuable role filled by anyone despite there being a need and many Councillors competent to do the job. Kirinari School -Use of Council land; Kirinari school has had the use of Council land for 11 years at no cost to the school. The school sold the land to Council in 2000. There have been some comments in the Eastern Courier that ignore the facts of this and wish for Council to consider to offer free use into the future. The reality is that the land should never have been free to use by the school and, hopefully, an agreed rent will be paid in the future. Electronic Hard Waste; Cr Hudson put a motion for a collection area for e-waste to be established that would be open regularly to drop off e-waste (see separate blog).This was supported and staff will investigate how this might work. If you have unwanted televisions, mobile phones, computer products, printers, scanners, video players, DVD players, digital cameras, etc cluttering up your house then there is an opportunity in the near future to get rid off them. Each product will be recycled into its many components instead of going to landfill. On Saturday 3rd December and Sunday 4th December between 9am and 3pm you can drop off your stuff at 5 Winston Crt (Mitcham Council Operations Depot) or at Adelaide City Council Nursery, War Memorial Drive (opposite the zoo). Last time this event was held there were queues so I suggest you pool with your neighbours and get just one car in the line up. Regulated trees or Significant Trees? The law has changed in the categorization of trees and their level of significance. For the last few years trees have been deemed to be significant if their trunks were greater than 2m around when measured at one metre above the ground regardless of species. When an owner wished to remove a tree they had to lodge a Development Application with Council with an arborist's report. Council then decided if the tree could be removed, this often involved having to go through the lengthy process of public notification and Development Assessment Panel approval or refusal. If the decision was refusal the applicant had an opportunity to appeal the decision in the Environment, Resources and Development Court. Under the new laws all trees with a circumference of 2m are described as Regulated, and those over 3m as significant. The process for the larger trees has not changed other than there is no longer a requirement to publicly notify. Only those that staff recommend for refusal will go to the DAP for final refusal or approval. However, regulated trees (2m-3m circ), other than all species of eucalyptus and willow myrtles that are growing within 10 metres of an existing house or pool will be able to be removed through a simpler process. A Development Application will still need to be lodged with Council but there is no requirement to submit a report from an arborist (this additional cost was often difficult for some people). The staff will then approve the tree's removal. There are also penalties for removing trees and a requirement that 2 or 3 trees are replanted for each one removed. There will no longer be a need to seek approval if a tree is to be pruned of less than one third of its canopy if the wood to be removed is dead or deemed to be dangerous. As the new laws are implemented there will be a need for further minor legislative changes and some will be resolved through the courts. 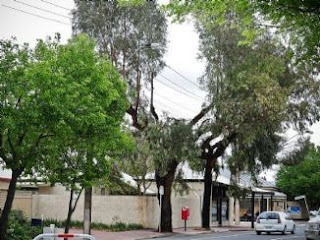 ETSA have informed the City of Unley that they will shortly (they have to give 30 days notice and did so on 4.11.11) be pruning street trees along South Rd, Emerson Rd, Cowper St and in Fielding St. This will only be along the high voltage network. Hopefully the pruning will be sensitive to both the trees and to the people who view them regularly. The consultation for the most recent version of the pocket park closed on Friday. Everybody who was in the (much broader) catchment area has now had an opportunity to reply and to inform Council on a way forward. The revised plan, as most of you would be aware, will allow two way vehicular access through the street as well as a path for pedestrians and bicycles. Don and I spent a pleasant few hours talking to people in Francis St and Frederick St to encourage people to return their form and to give as much information as possible as to why or why not they agreed or disagreed with the plan. Many of you loved the idea and many do not. At this point in time I am unaware of the final statistics. I will get to view all of these before the matter is debated in Council. The staff will now use this information to collate the results and to use the valuable information to write a report and to address any concerns. The the plans that were commissioned by Mitcham Council were available this week. While I am yet to attend a briefing by staff I did attend on open day at Unley Council on Thursday. The report indicates that it is possible to reduce the risk of flooding during a 1:100 year event and to not build the dam as proposed. However, this would require extensive infrastructure to be built in Unley-culverts and drains. The total cost of works would exceed $50 million in Unley alone, we would still only have to pay our agreed share of $14 million for the entire project. The people who will get the culverts are yet to be consulted and I would expect there to be considerable concern from residents. 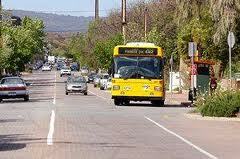 Unley is in the process of preparing it's submission to the draft plans. I will need a lot more information on this one before decisions are made. 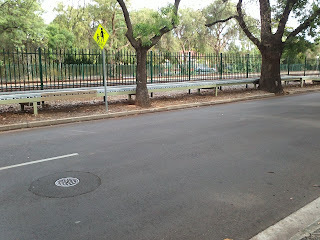 How good do the trees in George St and Churchill Ave look this week? The Renewal of Home Match Licensing; it was proposed to increase the number of home games from 9 to 10 and non- Saturday games from 4 to 5. This has already been widely consulted in the local area and less than 20% of respondents were opposed to the concept. This was supported. Grants Programme Funding; local organisations recommended for funding include the Clarence Park Community Kindergarten (vegetable garden), Clarence Park Community Centre Food Coop (3oth anniversary celebrations) and St Thomas School (Easter Fair). Commercial Fitness Training Activities on Council land; this has been to public consultation and some significant changes have been made to the recommendations; these include the fee being reduced by 50%, allowing earlier start times in locations that have fewer residential neighbours, permitting boxing and martial arts in some parks and no bond to be paid. This was passed, although a fee was introduced for small groups of $100 for consistency between groups. Food Security Strategy; the focus of this strategy is to allow for more food to be grown in public spaces, toe encourage more food to be grown in back yards and to support local food distribution and use. There are already some outstanding examples in Unley of this, eg the Clarence Park Food Coop, the Goodwood Farmers Market, the veggie gardens at Black Forest Primary School and the Fern Ave Community Garden. This was passed. Community Asset Review Stakeholder Engagement; Council have been working for sometime on this and now wishes to discuss with individual stakeholders a future direction. For Goodwood South this includes the Fairmont Tennis Club, Millswood lawn Tennis Club, Millswood Bowls Club, Millswood Croquet Club, Goodwood Saints Football Club, Goodwood Cricket Club, Forrestville Hockey Club, Tennis SA and Goodwood Oval Sports Complex. This was passed. Hackett Reserve Extension; Council plans to extend the park to include the existing road that is closed to be part of the park. This would be funded as a Pocket Park. Village Living & Desirable Neighbourhoods Development Plan Amendment; this proposes significant change in zoning in Goodwood South. I am happy to discuss the detail of this with any any interested persons. King William Rd Pavement; once again Council are wishing to retain this asset to a high standard as replacement cost is almost prohibitive. This was new CEO, Peter Tsokas' first meeting. I saw an article in today's paper that caught my eye. Each year 2.1 billion disposable nappies go to landfill. 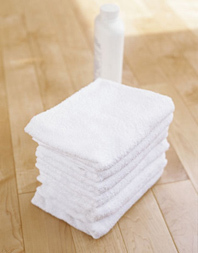 Each nappy takes around 150 years to breakdown. If we can reduce our use of disposable nappies then we can reduce the amount of waste that goes to landfill. Council pays a fee for this service that is increasing quickly. Port Adelaide Enfield Council are taking an initiative to reintroduce the use of cloth nappies for babies by setting up a Cloth Nappy Library. 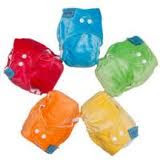 This will give parents an opportunity to try out cloth nappies and choose a suitable style for their baby. For many new parents disposable nappies are the only type they know and the only type they themselves used as babies themselves. I will ask at the next Council meeting if we could check out what they're doing and see if it is an initiative for Unley. I had an enquiry this week from a rate payer that received this flyer in their letter box this week. This flyer is from a company selling lawn replacement products in the Unley area. There are many convincing arguments for and against the use of this type of product. The flyer has not been endorsed in any way by Council; in fact most of Council's current direction in sustainability is to improve water retention and for landscaping to be more water sensitive but still using real plants. The rebate offered is not being paid by Council. This committee met last week and discussed the following items that may be of interest. Scooter Mobility Project -the pilot programme will fit GPS systems to particular vehicles and their users (you must be over 65) to identify hazards on the existing footpath network so that preferred routes can be identified and their use encouraged. There are currently no controls around the sale of these vehicles or training in their use once purchased. this also needs to be addressed. A recent reminder published by the Council is in reponse to resident's complaints about the use of these areas. A reminder that the areas are to be enjoyed by all. Residents are reminded that the City of Unley has limited open space for it's community. Therefore, in order to allow all users access certain restrictions apply to where you can exercise your dog. 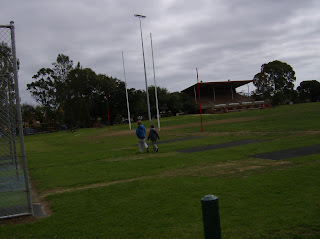 There are various sections for dog exercise at Goodwood Oval and The Orphanage. Please check the signage indicating dog on-leash and dog off-leash areas. EXCEPT where organised sporting activity or organised events are being conducted. in areas listed on signposts that prohibit dogs. Have you ever wanted an opportunity to have your say on a regular basis into the way that Unley is shaped and developed? Then why not register to participate in the on line panel. You can get the full details and register on the following link. I went to a great meeting this morning at Goodwood Oval where 20+ people talked to Don and I(as well as Charles Mountain from staff). This meeting was convened as a few people living in the area had suggested that a meeting of interested residents would flesh out some of the issues that have been annoying people. In the end we had a list of about 20 different things, most of which will be cheap and easy to implement, others will need to be budgeted for. When will the playground fence be installed? This has been budgeted for and should be soon. Can the new lines indicating the distance cars can park from driveways be pulled back a metre to allow easier and safer access to properties? Should parking be limited to one side of Fairfax Ave? The resounding response from people present was a no. There was some discussion about the parks nearest the playground. Can the street trees be replaced in Graham Ave? Some are pretty tatty, one butchered by ETSA, many failing to thrive and others causing damage to infrastructure. The Council arborist will give us some guidance as to a way forward. What about the drainage issues? Can there be some tidy up of Argyle Ave footpaths? All participants will be sent an update of the issues identified and possible solutions. If you feel there are issues that you would like me to know about then please send me an email, if you think a street meeting would be useful then one can be convened in your street. The following article appeared in this week's Eastern Courier. I will be interviewed next week for a segment on ABC television. I feel at this time that a greater take-up rate will occur when renewals are due for the outdoor dining spaces. UNLEY Council's bid to encourage smoke-free outdoor dining areas has failed to win over local restaurant and cafe owners. In August, the council announced owners would receive a 50 per cent reduction in outdoor dining fees if they chose to ban smoking. But, as yet, no businesses have taken up the offer. Councillor Jennie Boisvert, who supported the bid, hoped café owners would still get on board. "I think the initiative needs more education," Cr Boisvert said. "A lot of the restaurants don't realize how many customers they don't have because of smokers outside." Adelaide City Council, which launched a similar scheme in July, has had 58 businesses take up the offer. An ACC spokeswoman said the savings on outdoor dining permits ranged from $120 to $1350 annually. Life between Buildings; presented by Gehl Architects that are also working with the City of Unley. Why Bigger isn't Better-the case for smaller houses; an interesting presentation supporting smaller houses with good function by using better design principals. I haven't seen much evidence of this trend yet when reading the Development Assessment Panel Agendas. 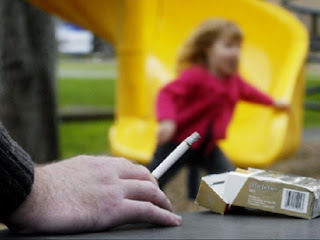 Smoke Free Public Places; A Healthy Change for Local Government; clearly their is a trend toward this and some cities like Hobart have simply banned smoking altogether in outdoor dining areas and parks. Yeerongpilly TOD; A Transport Orientated Development is what is proposed for Keswick Barracks should the army cease to want to occupy the site. The Universal Mobility Index: A tool to measure accessibility for the disabled to the built environment. This is particularly relevant as the Council have just written their Access for All Policy. Carbon Neutrality China Style; this presentation was fascinating, the designed city unbelievable. From Conventional Street to Naked Street; the case for removing the ever increasing signs, traffic lights and directions in our streets. Business Improvement Districts; Unley already is doing this well. The Use of Expert Design Panels; this is one I have already discussed with staff. I would like a design panel selected to offer improvements possible for new buildings, in particular the proposed multi- storey developments for Greenhill Rd and Unley Rd. Car Parking Management; are we ready to put parking meters in the streets near Greenhill Rd? Integrated Vertical Villages for the Elderly; there are already three of these approved for Unley (one built). Will they work and who will choose to live in these developments? Why Quality Greenspace Matters; the case for activation of our parks. I have some ideas to activate the Memorial Gardens that I hope will come to fruition. For those of you who are regular readers of this blog many of these topics will come as no surprise. I welcome your input and discussion. Kelvin Avenue consultation again; Letters are going out this week inviting further comment on the proposed changes to Kelvin Ave. The new plan allows two way access, the major concern from people who signed the petition and yet allows for some park space to enable further greening of the City using water sensitive urban design and for the planting of some trees that have the potential to become significant. Railway diversion; A new committee has been established to lobby state and federal government on the possibility of diverting trains east of the City (through Truro). This group has now met for the first time. Page Park; A gate will soon be erected on the western entrance, this will make the entire area safer for dogs off leash. The toilets are now not likely to be installed before late December. Traffic management; There will be a stop sign and associated line marking at the junction of Ripon Rd with Lorraine Ave and Homer Rd. This should make the junction safer. This is a response to concerned residents. Street meeting; Fairfax Ave and Graham Ave; Residents in this area have requested a street meeting to discuss local issues. This meeting will occur at 10 am on November 5th near the junction of the two streets. Development (Regulated Trees) Development Act 2009; This Act will come into operation on 26th November 2011. It will change the definition of significant trees and create a two tier system of regulated and significant trees. I will write a separate blog on this when I have more details. Leister Park; The Park has now reopened after contamination was found. The Park has been fully remediated and is now safe for all users again. Smoking; So far no cafes have taken up the Council offer to reduce the fees they pay to Council and to make their outdoor eating areas smoke free. I feel that a little more direct contact from staff should see a much higher take up of the initiative. Staff are still working on the report to enable smoke free children's play areas. Do you like singing, you might like to try this? Unley Voices meets for practice every Wednesday from 2-4pm in St Augustine's Church, Unley Rd, and everyone is welcome. Information Marianne Piercy 8372-5100. I have copied this straight from the Council website. Given the interest in this piece of land already expressed by those living nearby and those further away who have seen what they see as a site ideal for greening your input and feedback would be most welcome both to me and to the Council directly. I helped to identify this site as being ideal for a Community garden and would like your support as this goes forward. The City of Unley is currently investigating the interest in, the opportunities for establishing new, and expanding existing community gardens. 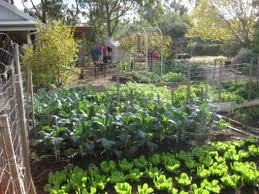 A community garden is a single piece of land gardened collectively by a group of people. You may provide feedback by completing the online survey below. Whilst it is not yet determined where or when the garden(s) will be established, Council will use the information from this consultation to allocate future resources to the project. The consultation period closes on Friday 4 November 2011. For further information regarding the policy or to provide your feedback, please contact 8372 5111. A few items were reserved for further discussion , these include the matter of residential parking and speed limits on King William Rd. Proposed sale of land at 39 and 40 Oxford Tce; this remains confidential, a resolution has now been made. Ridge Park Managed Aquifer Recharge; this is a huge project that has some funding from the Federal government. The plans are ready for community consultation. Procurement of a Tenant for 2/71-73 King William Rd; an offer has been made to tenant the property for $18,000+ GST per year , this is slightly below market rental but may well reflect the trends in the market. Annual Report; The plan makes interesting reading. Financial Report; This is the final audited report for 2010-11. Cr.Salaman has asked some interesting questions about the repair of King William Rd. As the eventual need to replace this road will cost a significant amount of money it has been Council policy to extend the life of the existing road for as long as possible. 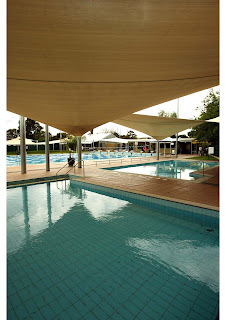 During the winter considerable money and time has been spent giving the pool a new and fresh look. The entry has been refurbished to enable access for the disabled and to make it easier to collect fees as people enter the pool. This seasons prices are similar to last year. If you want to swim for fitness on a regular basis then buying a yearly pass is a good idea. If you just want to enjoy the atmosphere and let the kids cool off on the hot days then this would be a great place to do it, and no sand to deal with in everything you used when you get home. The newly installed disabled lifter is available at all times to allow easy access to the pool for those who require this facility. Residential parking Permits and Exceptions; this report examines the cost of providing parking remits and exemptions to residents when they have either no parking of insufficient parking on their own property and exemptions to park longer in timed parking zones. There are very few of these in Goodwood South. No decision was made and it will be discussed again at the Council meeting. Access for All Action Plan; the final endorsement following Community consultation was required. The greatest concerns raised in consultation were; access to Council buildings ans surrounding infrastructure, keeping footpaths clear of obstructions, maintenance of footpaths, safe use of mobility devices and use of assistive technology. Unley Libraries Draft Strategy; this is the second time this has been up, last time the policy was not endorsed as it had some errors in it. It was recommended and endorsed that it now go to Community consultation. 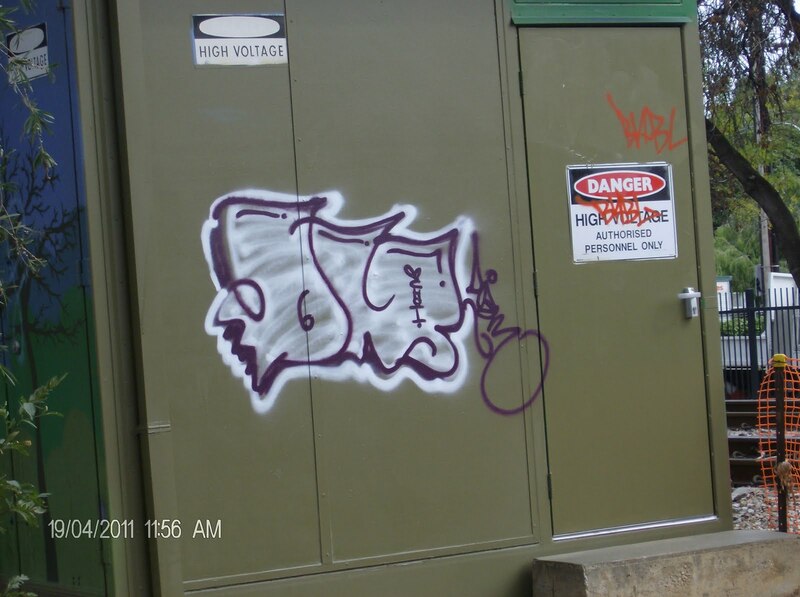 Graffiti Management Programme; Council receives 15-20 requests each week regarding graffiti removal. Offensive material is removed with in 24 hours and other graffiti in 3-5 days. The current annual cost is now $73,000 for this service. This report advocated for the training a team of volunteers to look after particular areas. this was supported. Nature Strips; Currently when a footpath is repaved the resident is asked if they would like dolomite or loam in the nature strip. 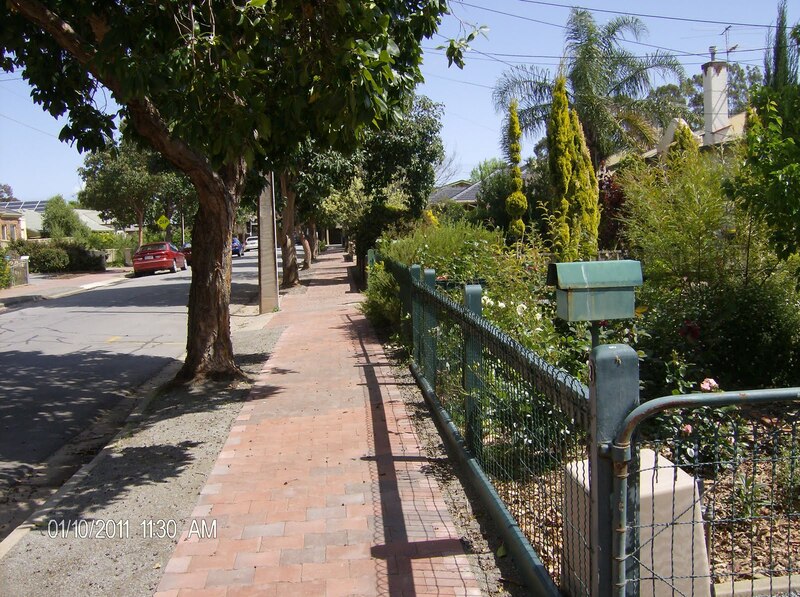 The Council wishes to encourage the choice of loam and the greening of more footpaths and streets. Cr Koumi also asked for a further report and cost of providing loam and landscaping for each new nature strip created when new paving is laid, this was also supported. Green Street Lighting Energy; The LGA has negotiated a new agreement with the Trans Tasman Energy Group to negotiate tariffs and service levels with 66 participating Councils The purchase of green energy for street lighting will save the City $27,000 over the next 3 years as 20% of street lighting is provided by green energy. Below is a copy of the article in this week's Eastern Courier. While Daniel does have his facts correct he could just have easily titled the article Compromise possible for Kelvin Ave. I reiterate that money not spent on landscaping this street will be spent landscaping a different street. Money allocated to each area of the budget is spent in that area. Why would you not want to have your street look like the photograph and retain two way access if that was the an available option? IT IS less than 60m long and10m wide, but plans for a little parcel of Clarence Park land have created a very big fuss. Unley Council has revised the design of a small park on Kelvin Ave after more than 200 people signed a petition calling for the plan to be abandoned. Under the original plan, Kelvin Ave would have been closed to traffic between East Ave and Frederick St to create the public park, but residents were concerned the closure would lead to traffic congestion in nearby streets. Elected members voted at last month's council meeting to revise the plan by narrowing Kelvin Ave with a twoway driveway link for traffic to pass through. The entire pocket park area would be 450sq m and cost $86,000. Frederick St resident Dorothy Karagiannis, who was one of the people who signed the petition, questioned the need to do anything to Kelvin Ave. "What will the new design achieve?" Ms Karagiannis said. "That money could be spent on lights, bitumen, gutters and kerbs, tree maintenance and street sweepers." Frederick St resident Esme Fitzpatrick said to "leave Kelvin Ave as it is". "It's getting ridiculous, "Mrs Fitzpatrick said. "All the money to have this done will be a waste." But Unley councilor Jennie Boisvert, who moved the motion for the new Kelvin Ave plan said "the two-way driveway link should meet the needs of everybody". "It will be a green space where you can sit back and relax and it will be shady and pleasant," Ms Boisvert said. "It will look more aesthetically pleasing than a road." Community consultation will be undertaken on the revised design and presented to the council at its December12 meeting. An exhibition to celebrate 100 years of football at Goodwood Oval has opened at the Unley Museum in Edmund Ave. Entry is free to the exhibition that will be open until mid-December. So if you have the time take a look at the memorabilia that has been collected and displayed for your enjoyment. 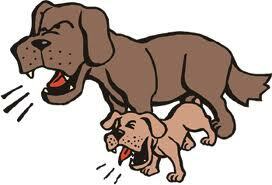 Are barking dogs the bairn of your life or just annoying? Recent complaints have left me feeling a little helpless in this matter. When you feel the neighbour's dog is barking excessively then you need to let the person at Council in charge of this (Ken Anesbury) know. He issues you with a diary that you keep for at least 2 weeks. If you can get other neighbours to do this as well this also helps. The usual problem is that the dog owners are unaware that the dog barks excessively when they are out because it behaves beautifully when they are at home. The purpose of the diary is to prove to the dog owner that the dog does bark excessively and then the hope is that hey will use this knowledge to act in a way that might help to change the dog's behavior. The real problem now begins if they the refuse to accept that the problem exists and do nothing. PLANS for a 12m high, 100m wide dam on Brown Hill Creek might be scrapped in favour of downstream works to reduce the flood risk. Mitcham Council has hired a consultant to examine whether flood mitigation works on the plains will make the proposed dam on the creek’s upper reaches redundant. WorleyParsons will be paid up to $20,000 to investigate options such as diverting the creek downstream to reduce the risk to 3500 homes on the creek’s flood plain. The dam proposal follows a failed plan in 2008 to build two 23m-high concrete retention basins on the creek. The latest development follows fears the dam would spoil an upstream stretch of the creek and undo thousands of volunteer hours spent caring for the site. Friends of Brown Hill Creek member Marcus Beresford welcomed the council’s decision. “Given what WorleyParsons has already done to reduce the scale of dams, from two 23m-high dams to one 12m dam, it does beg the question whether we can get rid of the dam altogether,” Mr Beresford said. A council spokesman said it was important to make sure the dam was needed rather than leave other options “untested”. This is the article place in the Eastern Courier. I took the time to look at the site this week and took the photo above which shows the line of the dam wall. While I will support the dam option if this is the only way to prevent flooding I also fully support exploring further options. If you,like me, have lived in the Unley area for almost 30 years and have never been to the upper area of the Brownhill Creek reserve it's certainly worth a look at the site pictured. The new entry sign to Goowood has been installed and is waiting for it's finishing touches. Sadly it was graffitied almost immediately, this has now been removed. 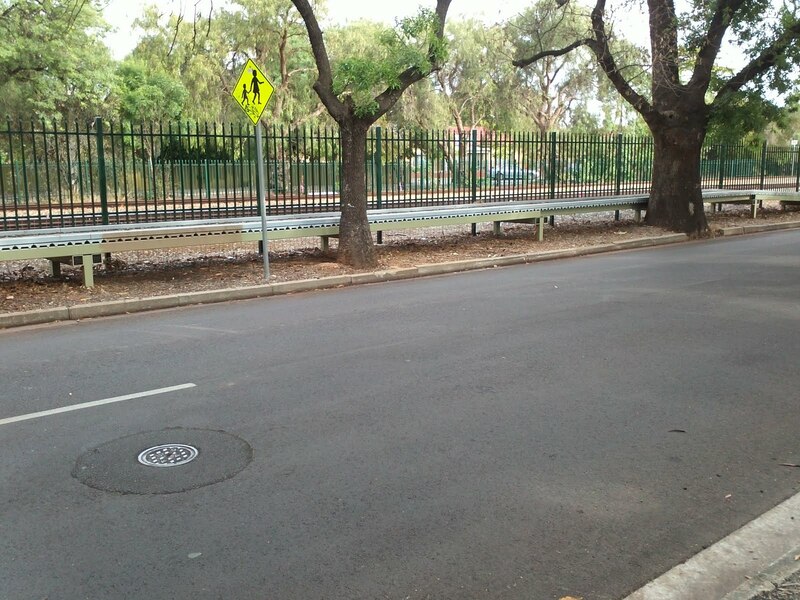 Spiers St has had the footpath removed on the western side ready to narrow the street to allow for vegetation to be planted on the western side and more water retention for the street trees. The footpath on the eastern side will also be paved, it has been dirt for as long as I can remember, so this is well overdue. Council is usually not overwhelmed with nominations and yet there are many people and events most worthy of nomination and selection. If you know someone or of an event that you would like to nominate forms can be obtained from the Council offices, they must be in by 4th November 2011. Christine Umapathysivamhas resigned, to take effect October 28th. She has been offered a position in the local Government Association. While her slkills will be missed at Unley , these same skills will be very valuable in her new role. I wish her well in her new position. This will leave two General Manager's positions vacant when Peter Tsokas takes on the role of CEO in November. This will give him an opportunity to restructure the organization, if he wishes, and to select new people with the skills and interests that match his vision for the City of Unley. There have been a couple of complaints from residents about the compliance of the boardwalk with Disability Discrimination Act compliance. I met on site today (6.10.11) with Don and with staff to discuss the issues and possible solutions. None of the solutions will involve the removal of the trees but rather ways to conserve them and to allow safe access to the footpaths. Ideas suggested include, paving the footpath on the south between the boardwalk and the Princess Margaret Playground, reducing the slope of the ramps, easier access across Canterbury Tce, removing the bitumen on the footpath between the boardwalk and East Ave and replacing with mulch and/or landscaping. When the staff have had time to consider the variety of options homes nearby will be letter boxed and signs put on the gates to the railway line with the time for a public meeting so that the ideas can be discussed and a way forward mapped. Yor comments will help to inform this process at any time. This is what I mean when I describe footpaths as being a trip hazard, this one is Cross Rds but residents in East Ave will also note that the western footpath has also had the trip hazards marked ready for repair between Aroha Tce and Dunrobin St. The poplars have been removed from Brownhill Creek in a property south of Cranbrook Ave, this also has taken a very long time to get done as negotiations had to take place with the Natural Resource Management Board. They agreed to pay for the works and undertook the work themselves. Dogs off leash. 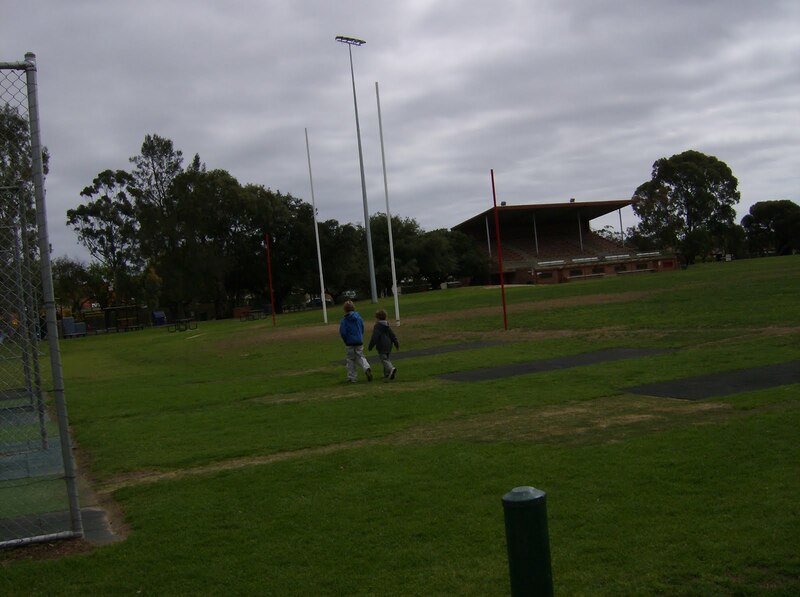 I have had several requests from people about dogs being off leash in both Orphanage Park ans Goodwood Oval. 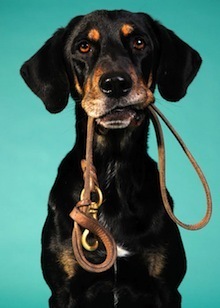 Dogs should be on leash at all times unless the signs say otherwise, in both areas dogs are allowed off leash when sport is not being played on the oval areas only. As well dogs should be at least 3 metres from a playground. The vast number of people do the right and I thank them for that. Dog poo bag dispenser in Page Park has at last been installed. There have been ongoing discussions and it is in place at last. The toilets are, however, still missing and will be installed soon. Rail electrification; it seems this project is now even further behind schedule and that plans and consultation with residents are unlikely to occur before 2012. Aroha Tce should see a disabled parking bay near the tram stop. Fairfax St will have a meeting of residents on November 5th, the time is yet to be arranged but residents will be letter boxed with information. Several residents have requested the meeting to discuss parking and other issues. Letters have been sent to all cafes with outdoor dining offering reduced fees to take up this initiative. Hopefully many will choose this option to save money and provide a better amenity for their customers. Byron Rd residents will be letter boxed about having a white line in the centre of the road to encourage drivers to be more careful and to stop the practice of driving down the middle. If this is successful the same treatment will be used in Wood St.
What happens when footpaths are destroyed by development? Take a look at Aroha Tce near the new homes and you will see the new footpath all but destroyed. Council photographs the footpath and other infrastructure prior to building commencement and then send the bill to the developer for the damage when finished. Since Council have been doing this the compliance rate has been much higher. So often I am asked to assist a resident in trying to find out more about what their neighbours are building or planning to build. Sometimes this question is out of curiosity and at others the development is right next door and they have genuine concerns. Cat 3; everybody can make a representation as the development is non-complying. To find out whats happening you need to log onto the Council website, click on Development and then onto Development application enquiries. Then click List of Development Applications or Developments on Notice, next, if you know the exact address type this into the proforma. Then press the search button, a list of all recent development applications will come up for the address you typed in. Details of each can be found by clicking on each application number. If you don't know the exact house number you can you the advanced search function. If you need to see the plans for developments on notice you can view these at the Council or library during office hours. If you want to talk to a planner after viewing the details it is easier if you make an appointment to see a planner. Hope this is useful information? Sometimes the Eastern Courier just can't get it right. In the article headed Heritage Battle Over Brownhill Creek the articles implies that Council is not supporting heritage listing. If you read to the last sentence you find the truth. That is that the Council could not find evidence to support State heritage listing but it could support Local heritage listing. Both offer protection to the stonework that is so valuable. While State listing would afford more protection even this could be challenged if the situation warranted it (most likely flood mitigation). I asked over 4 years ago now for staff he investigate the heritage value of the stones and was told at that time the evidence did not support any listing at all. So, this item will be added to the heritage DPA that currently is waiting for the Minister to sign off. There is no battle here between Council and anybody else, just a sensible solution. It is possible that they stones could be State heritage listed if the government (not Council) sees fit to do so. TOP JOB: Peter Tsokas will be Unley's new chief executive. PETER Tsokas has been named the new Unley Council chief executive. He will replace outgoing CEO Ray Pincombe in late November. Mr Tsokas, 50, has been Unley’s city development manager for the past 18 months. More than 50 people applied for the position. Peter was able to convince the Council, making a presentation to all Councillors, that he was the best person for the job. This leaves his own position vacant and this should be advertised in the near future. The remuneration package includes an agreed value for a vehicle and superannuation. He will begin in the job in November, immediately after Ray Pincombe vacates the position. COURT APPEARANCE: Unley Mayor Lachlan Clyne. UNLEY Mayor Lachlan Clyne made a brief appearance in the Adelaide Magistrates Court today (September 23). His appearance related to charges of dishonestly dealing in documents, improper use of another identity, criminal defamation and publication of misleading material arising from last year’s Local Government elections. He was not required to enter a plea and the case was adjourned after only a few minutes. He will reappear in court on November 29. Outside the court, Mr Clyne said he would not be stepping down as Unley Mayor. His lawyer stopped him from commenting further. The most recent information from staff is that the 2 way driveway link can be constructed for $86,000. This is similar to the amount originally budgeted for this park. I am still waiting for information from staff as to the open space provided in pocket parks already constructed to compare with the 460m that this proposal will provide. If we were to return to the road closure the estimate for this is now $76,000 and some of the costs could be offset with grant money. Further discussion about Kelvin Ave: I moved the motion that I intended to move at the committee to allow for a two way driveway link. This should meets the needs of everybody that wrote to the Council and all petitioners, it allows for an increased green space for water capture and trees as well access both from and to East Ave. Further consultation will follow this proposal to a larger area. Further discussion about Culvert St Unley: Crs Salaman and Hudson wished Council to consider reversing the recent traffic flow changes that caused Culvert St to be made one way at it's junction with Unley Rd. The cost of reversal is, in my opinion, prohibitive at nearly $200,000. As this measure would only be temporary until the state government were prepared to pay some money toward a Pedestrian Activated Crossing at the same location I do not believe it warrants support. However, given the improved amenity of having the new walk lights on Goodwood Rd I would give consideration to Council making a greater monetary commitment to getting these installed. this motion lost. Keswick and Brownhill Ck Draft Stormwater Management Plan for Community Consultation; the final cost of this to Unley is likely to be $14 million. For Goodwood South the only streets that will see works are Arundel and Cranbrook. However, the total works will reduce the flood risk in all our suburbs substantially. Rail Freight Advisory Group; This will be set up with Cr Saies and Cr Sangster being the Council representatives, 3 members of the community have also been selected after applying to be on the committee. DPA3; Final changes have been made to this, it is ready to be presented to the Minister for endorsement and the consultation. If endorsed this will give approval for buildings to be built on Unley Rd to 5 storeys and Greenhill Rd between 7 and 10 storeys. Development Assessment Panel Annual Report; this gives information about approvals and refusals of development applications and also the outcomes achieved from appeals to the ERD court. We also debated in confidence the remuneration package for the new CEO. The report on this is in this weeks Eastern Courier. The new CEO will be Peter Tsokas who is currently employed by Unley as a General Manager. The proposed sale of 39 and 41 Oxford Tce was also discussed but remains in confidence. We also discussed and passed motions from Cr Koumi to increase the size of a small park in Parkside and to investigate further possibilities for Development Planning Amendments regarding the use of lane ways.